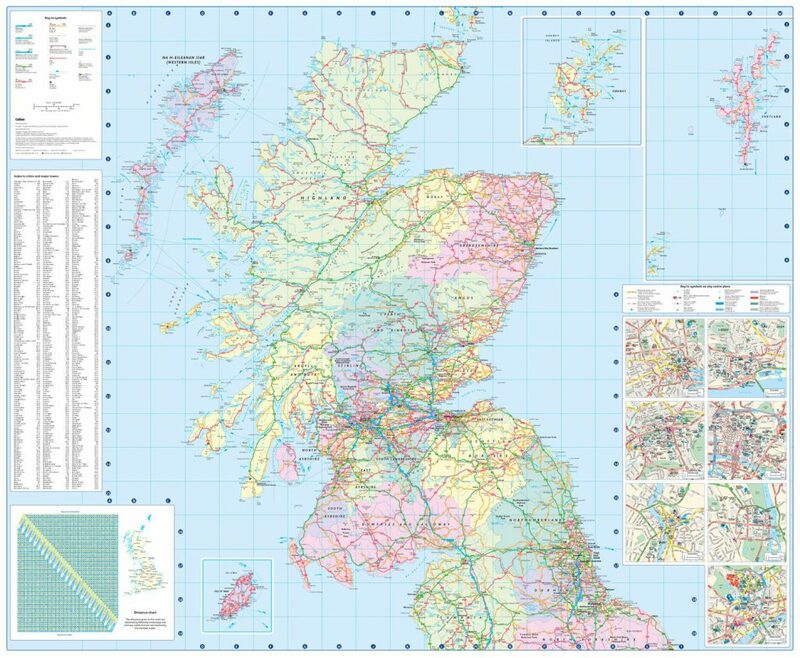 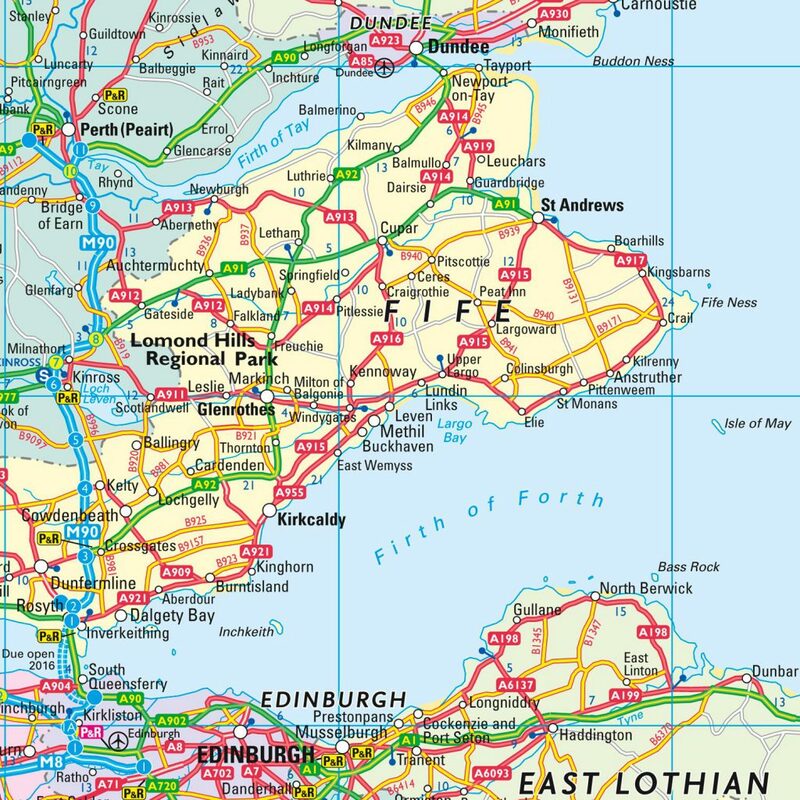 This full-color travel map of Scotland, at 8.7 miles to 1 inch (1:550,000), covers the whole of Scotland and part of Northern England conveniently on one side and is ideal for reference or route planning. 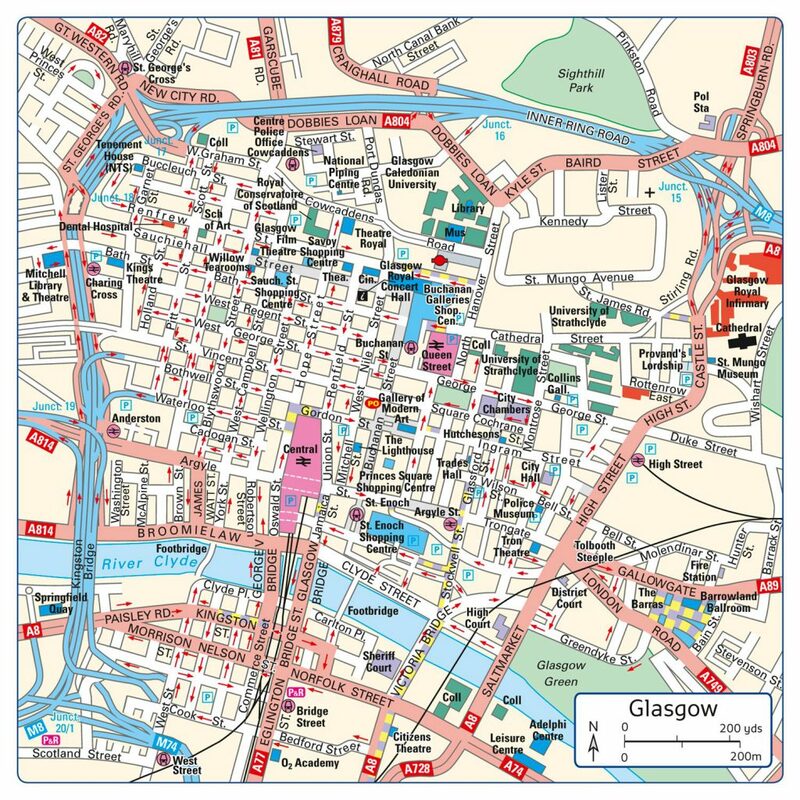 Fully updated for 2017, with administrative areas shown in color and clear, detailed road networks and road distances, this map has town and city names, rivers, railway lines, and canals clearly shown, with seven city/town center street plans showing places of interest. 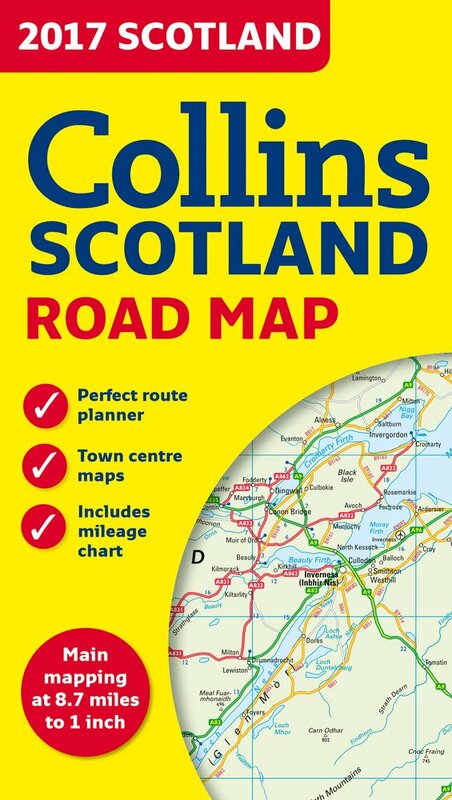 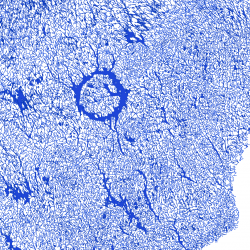 It also includes an index to place names, a mileage chart, car ferry routes, and a key in English, French, and German.